I have used Edmodo for a while now although I believe I only recently started using it effectively. In my last school I used it with my Digital Leaders as a way to set them tasks to do with a TA whilst I was teaching. They could upload their work when they were done and I could get feedback on how they had found the activity I had set for them. This system worked well, and was a lot easier the email system I had previously used, but really did not utilise the full extent of what Edmodo is about. For those of you who are not familiar with Edmodo it is a social networking website for kids. I’m sure many of you have alarm bells ringing now but listen to the whole explanation before drawing judgement. On Edmodo you can either have a student account or a teacher account. The teacher account allows you to create groups which have a security code. When a student signs up, they use this code to join your group. The code will automatically lock after a certain time, so no new members may join, or you can choose to lock it yourself when everyone is in. If someone needs to join at a later date, such as a new pupil in your class, you can unlock it and will be given a new group code to share with them. As a teacher you also have settings to allow moderation of posts, this ensures that you’re asked before anything is posted. As well as this you can make members of the group ‘read-only’ or remove them from the group entirely if you feel that is necessary. When students sign up to Edmodo, they do not need an email address. This is important to me as I do not allow children to use home email addresses at school – as they are out of the monitoring reach of school. We do not have school email addresses at this time. They are asked for their name, a username and password as well as a group code (they have to belong to at least one teacher’s group to register). Following our Internet policy, my class use their first name and the first letter of their last name on their accounts. The students are allowed some personalisation on their profile including a profile picture. Again considering our policy, we ask that the children do not use their own photo but instead a cartoon or something which they like. As no one can see the group outside of those who have the code, it would not be a problem to let them use their own profiles. However, when we teach about the need to be careful where you put your photo online it seems an unnecessary confusion for the children to say it only counts in some places. Now of course there is always the risk that someone might get into someone else’s account and nothing is ever 100% safe but let’s also look at the real world. Cars could spin out of control and mount the pavement hurting someone – we don’t use this as a reason not to use paths or go near roads. We teach children how to be safe near roads, and therefore avoid as much potential danger as possible. This needs to be the same in the online world. Children, parents and teachers need to learn what measures are necessary to ensure safety whilst not limiting potential life experiences. As well as this, children need the whole picture. My class are great at telling you about the dangers of using the Internet and what they shouldn’t do there – they have grown up in a world very aware of the negatives. I asked them what were the positives about using the Internet to communicate – nothing. No idea. We shouldn’t be growing a generation of people terrified of using the Internet. Awareness should work for both the positives and the negatives. Within each group you can also create subgroups. These are places where groups working on a topic can discuss thins without it being open to everyone. I use this option for my reading groups. Each group is in an Edmodo subgroup with the other members of their reading group to allow them to discuss their books with each other throughout the week rather than just the one session a week they spend with me. This was my current class’ first introduction to Edmodo and they rose to it. To begin with, I did tell them their conversations had to be limited to books but they could be had during Guided Reading time as long as they got their other tasks done throughout the week. 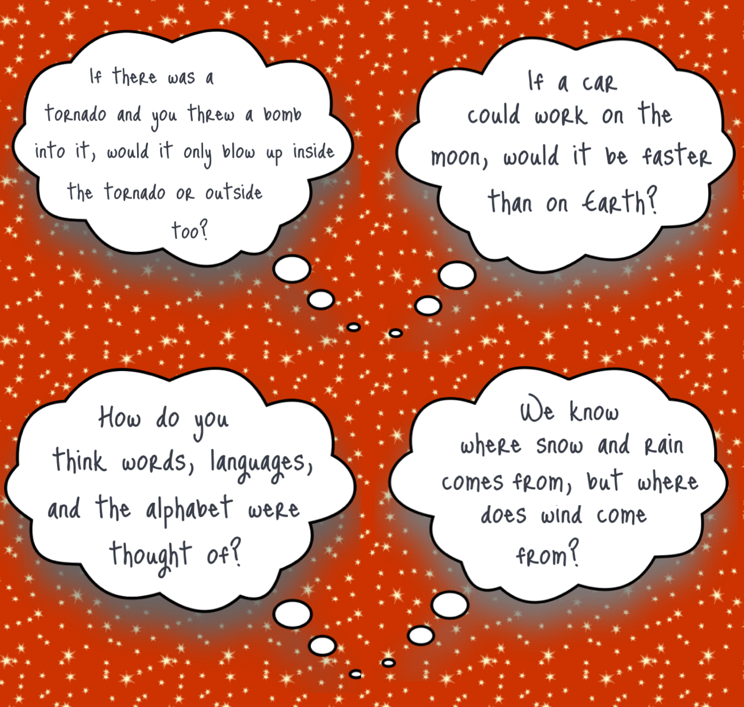 As you can imagine, these questions are a very useful learning point for the children. For them to ask these questions, they are already considering their own answers, ready to acknowledge other people’s opinions and, hopefully, re-evaluating their own ideas as the discussion grows. Now, obviously this development didn’t happen overnight. 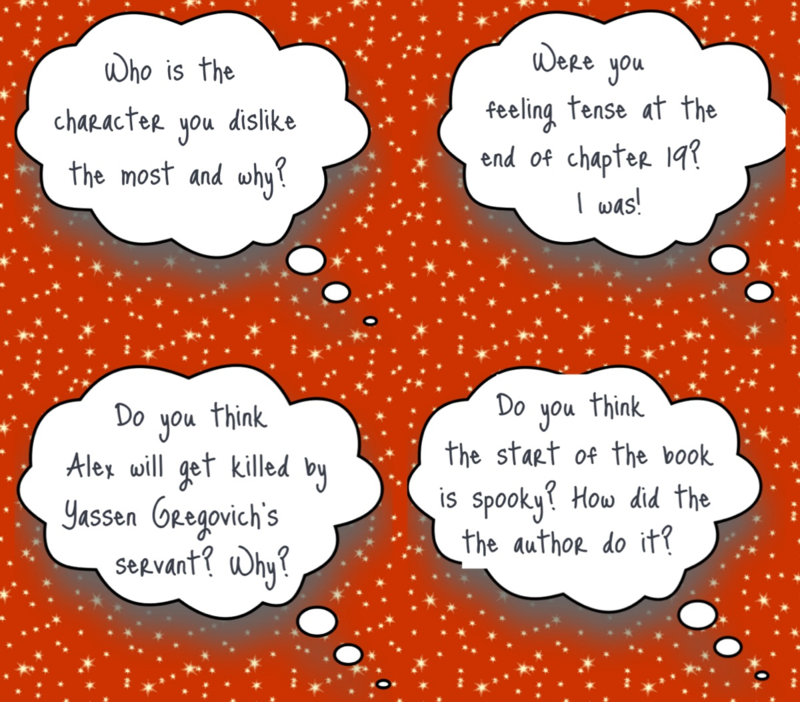 Throughout Guided Reading sessions since the beginning of term I have modelled to them the type of questions to ask about a text. We’ve discussed questions that encouraged debate and those that didn’t as well as responses that do and don’t. The concept that ‘I can’t believe you think that! You’re so wrong!’ being a bad way to encourage discussion was easily understood – the children recognised this and could imagine being on the receiving end. What was trickier for them to grasp was the good question aspect. Sometimes this was even hampered by the fact that they wanted to ask questions even if they didn’t have a good idea for one. The egocentricity of their age group added to this – some questions that they thought would open up discussion just let to everyone agreeing and virtually saying ‘What he said’ several times. To help them grasp the concept of asking good questions we have also been doing some P4C work (blogpost about this to follow soon). As my class began to grow as questioners, the need for another platform to address this grew more. In Science we had been working on a forces topic learning about gravity and air/water resistance. One notable lesson I was teaching Literacy and we were working on including thoughts and feelings in descriptive writing. This meant that we were looking at an image of a landscape, something like a bright day on top of a cliff with an empty bench. We’re imagining ourselves sitting there and considering what we would be thinking about, how would we be feeling and what would we be sensing. Then, one of my class asks: Why do clouds float? Now, I don’t like to dismiss questions. Particularly questions which are clearly carefully considered and definitely interesting to discuss, so, I opened it up. What did they think? Well there was a hive of interest discussing what they knew about the water cycle, evaporation and the state change from liquid to gas and back again, they discussed hot air rising and places where they’d recognised this such as hot days, what they understood about gravity and air resistance and so much more. I mostly sat back and occasionally went ‘That’s interesting, does anyone disagree?’ however, always at the back of my mind was ‘If I let them, we would talk about Science all day and never do any Literacy’ and I was given the ultimate dilemma: do I stop such clear curiosity, learning and engagement because it does not fit in with my timetable? Well, no, but I can’t do this every single Literacy lesson! The solution, as you may guess, became Edmodo. Now, I could say after a brief discussion, ‘That’s a really interesting question and I’m sure lots of people in here have theories about it. Right now, we need to get on with x but you should go and add it to Edmodo now so that we can all share our ideas later.’ I know it seems harsh, but the way my class has developed we’d never get through an entire lesson without coming back to interesting questions! The really great thing is, however, that the children do come back and discuss those questions later – at home or when they’re given free time in the classroom they’re discussing these learning questions! 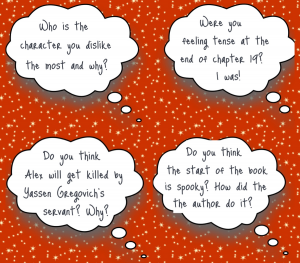 One asking a question also encourages others to ask similar questions (sometimes producing lots of very similar responses) but it definitely still gets them thinking! I think wind comes because the Earth is spinning but that means the whole world should have the same amount of wind. Would a car go faster on the moon? I think the car will go faster because if you spin a penny on earth friction stops it but if you spin a coin in space you could leave for 10 years and come back and the penny will still be spinning so friction is not active in space because of no gravity so the car will go faster. I think it depends on the weight to push it down then it would be about the same speed. I think it would be quicker on earth because in space everything floats and it would be hard to move your wheels on nothing. I think it would just float around on the moon and the wheels need to be on something to make it move so it would be much faster on earth. These are just some flavours of the conversations that have gone on through the medium of Edmodo. I interject sometimes with encouragement, further questions or reminders of appropriate conversations to be having on Edmodo but mostly I am an intrigued passive observer. When I went swimming I found that on some strokes I floated but in on others I sank. Why do you think that happens? I think Holes has a really effective opener. It draws you in straight away. What do you think about it? Rashi and I were wandering why the sky is blue and not any other colour? Does the moon have a core? Is fire a solid, liquid or a gas? When Michael said that sand dissolves I was thinking that it is really small rocks. If that’s true why does a rock not dissolve? We know what nouns are but have you ever thought what word class noun is? Why when you are dreaming it seems like seconds when it is actually hours? If water evaporates, why doesn’t the sea and the water evaporate? Wouldn’t a ‘heat seeking missile’ just go towards the sun? It is the hottest thing in the universe after all. Would boiled sweets melt or dissolve? Do birds have eye lids? Do birds close their eyes in some way when they sleep? If there was a new monster, what do you think it would look like, think and feel? The children frequently talk about how much they enjoy using Edmodo and even if the questions don’t directly relate to the National Curriculum, or the topics which we are covering, the children are most definitely learning. Even if they do not reach the ‘correct’ conclusion, they’re learning, just from hearing other people’s idea and trying to assimilate that into their existing knowledge. If my class leave me with a natural curiosity and a habit of asking questions which make other people think then I am most definitely a happy teacher! I would LOVE to sit and chat with your class. There's some amazing thinking going on, there! These are just awesome questions! In the usual annoying Jim style I have to point out that on Mars the sky is red and the sunsets blue. That'll get them thinking. You can try putting a little milk into a fish tank full of water (and no fish of course) then shine a light into one end and look at what happens.